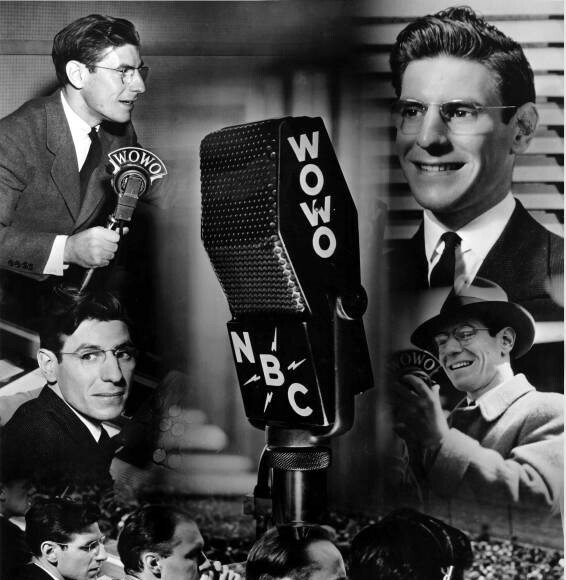 Fort Wayne sportscaster Hilliard Gates got into broadcasting at WKBZ, Muskegon, Michigan, in 1937. In 1940 he advanced to WOWO/WGL, Fort Wayne, as a studio announcer and sportscaster. 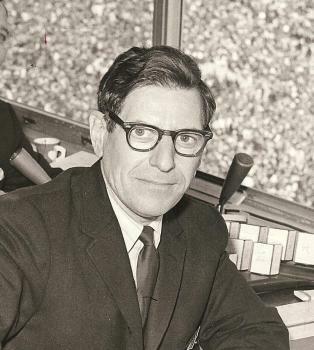 In 1947, he was hired as WKJG station manager and sportscaster. 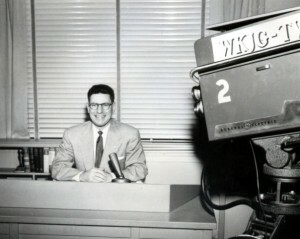 WKJG-TV was signed on by Gates in 1953, and he later became its vice president and general manager. Gates was a talented and popular sportscaster with a statewide audience. He called pro basketball games of the Fort Wayne Zollner Pistons, Indiana, Purdue, and Notre Dame football, and high school basketball. He did an NBA All-Star game for the Mutual network, and twice handled play-by-play of Rose Bowls on NBC. He was selected seven times as Indiana Sportscaster of the Year. And he even had a small role in the film “Hoosiers,” re-creating the historic finish. Gates retired from WKJG-TV in 1990 and died November 20, 1996.